Did you know nearly 1/5 of children believe potatoes and pasta come from animals? 25% of 5-8 yr olds and 14 % of 8-11 yr olds surveyed think that bread comes from animals. 26% of 5-8 yr olds and 22% of 8-11 yr olds think that cheese comes from plants. Nearly 20% of primary school children said that potatoes come from animals. 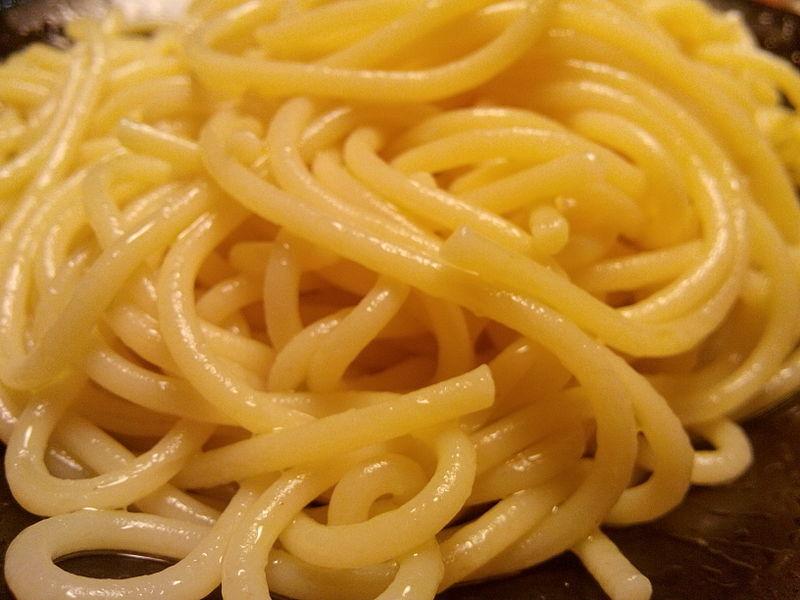 Almost 25% of primary school children and 13% of 8-11 yr olds, think that pasta comes from animals. 10% of primary school children surveyed think that bacon comes from sheep. 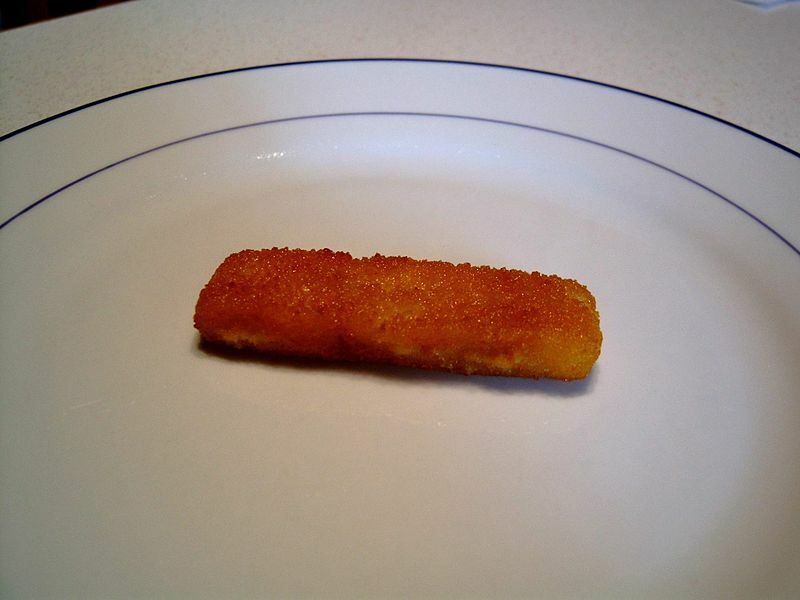 17% think that fish fingers come from chicken. For the 2nd year running their research shows 52% of 11-16 yr olds think that carbohydrate provides more energy than either fat or protein. (No, fat has around 9 Calories / gram, protein and carbohydrate have about 4 Cal/g). Now it wasn’t all bad! Encouragingly, around 20% of older children (11-16 yr olds) want to know more about where their food comes from Yippee! Around 80% of 5-11 yr olds have grown food either at home or at school Fantastic! On the whole, secondary school children’s knowledge about vitamins and minerals is encouraging with 74% accurately matching vitamin C with citrus fruit and 83% matching calcium with dairy products Phew! So what else did they report? 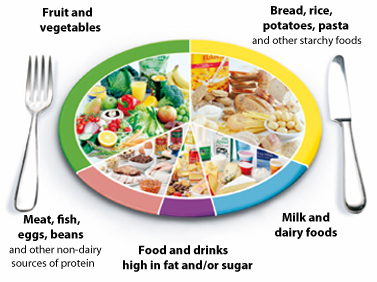 ~86% of children between 5 and 16 yrs know that they should eat five or more portions of fruit and vegetables each day. This is great, BUT this knowledge doesn’t seem to translate into behaviour, with an average of only 30% of school children saying they actually ate that amount the day before the survey. Now the trouble with this surveys is that it’s a snapshot in time, not necessarily representative of the typical daily diet, but I imagine it’s not far off the mark. There is some confusion among children about which foods count towards their 5 a day. Around 20% of 14-16yr olds do not think that canned fruit and vegetables count; whereas in fact both frozen and canned types do count. 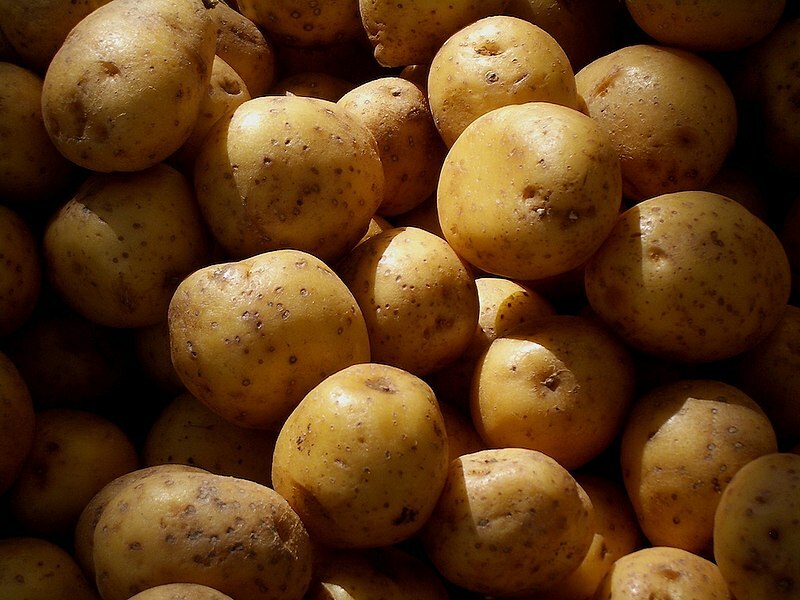 The other issue is that >40% of the same children think that potatoes count towards their 5 a day, whereas in fact, they are grouped with other starchy foods in the UK’s eatwell plate food guide, rather than with fruit and vegetables. By eating more fruit and veg, we do automatically tend to eat less rubbish but kids don’t do the shopping, we do! If we want our kids to eat fruit and veg, we have to buy it. It doesn’t have to be the most expensive forms – tinned and frozen are absolutely fine! Get your kids involved in the shopping. Rather than do it all on line and get it delivered to your doorstep, take them with you and let them pick and choose one that they want! Let them feel it, smell it, eat it! Try things you haven’t had before. As a whole family you can experiment together! On the day of the 2014 survey, 7% of primary school children, 23% of 11-14 yr olds and 32% of 14-16 yr olds said they hadn’t eaten breakfast that morning! 47% of 11-14 year olds and 59% of 14-16 yr olds say that they skip meals! Breakfast IS THE MOST IMPORTANT MEAL OF THE DAY so please make it a priority! 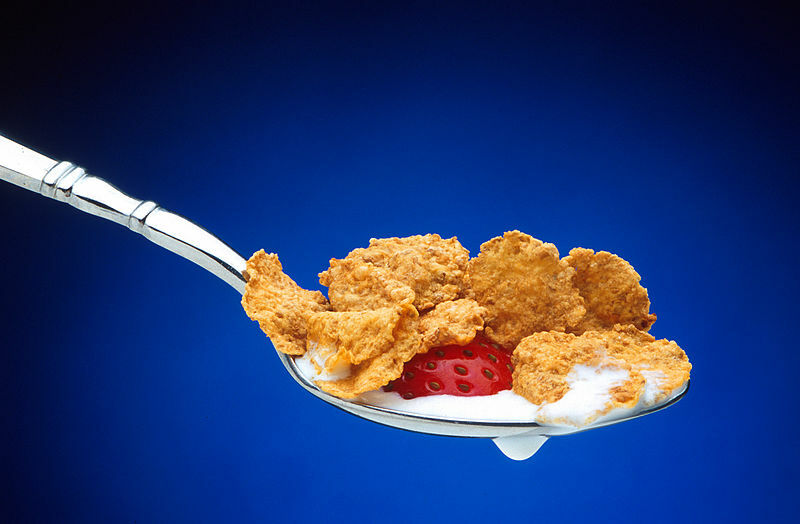 Children and adults who skip breakfast are more likely to be overweight, make unhealthier food choices and are less able to concentrate and focus (plus be in a bad mood!) at school or work. Children seem to know they should be drinking regularly but again their knowledge doesn’t necessarily translate into action. 26% of primary school children and 48% of secondary school children know that they should drink between 6-8 drinks each day and yet only half of these children actually said they consume that amount. 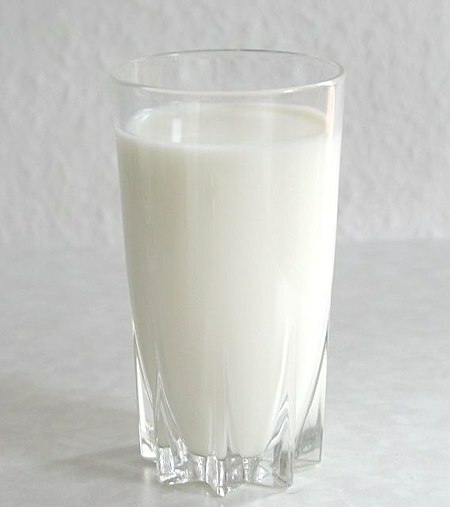 Don’t forget, water and milk are the best options for children. Limit fruit juice to meal times, just once a day and try to dilute it a little. Children as young as 5-8 years old understand the value of eating fish, with 96% saying we should all eat some fish each week. Similarly, 58% of secondary school children know we should eat two portions each week. However, 26% of secondary school children surveyed in Scotland claim never to eat fish. 23% of children of the same age in Wales, 20% of those in Northern Ireland and 19% of all secondary school children surveyed in England also say they never eat fish. Lots of evidence supports the fact we should be eating more fish, particularly the oily varieties like salmon, mackerel, sardines and pilchards – unfortunately the fishy fish, which kids can often turn their noses up at. The healthy polyunsaturated fats in these types of fish are fantastic for brain development as well as reducing the risk of developing Type 2 diabetes, high blood pressure and raised cholesterol. Please limit the battered variety! Around half of all school children have school lunch rather than a packed lunch. Which I am pleased about, providing schools provide the healthy meals they are supposed to. Packed lunches can be notoriously variable in terms of their healthiness, depending on the rules set by the school and the parents who pack them! 76% of primary school children say they like school lunch compared with 66% of 8-11 yr olds. 82% of children aged 11–16 years rate their school lunch as OK, good or very good. It will be interesting to see if this level of satisfaction remains when schools have to offer free school meals later this year. I think it was back in 2010 that I remember watching Jamie Oliver on a TV programme being horrified that kids did not know what a tomato looked like, what an aubergine was, or that potatoes grew in the ground. Naively I assumed we had moved on since then, now that food and healthy eating has become a slightly bigger part of the National Curriculum but alas we still seem to have quite a way to go. So the results from this survey despite being worrying, could be very useful, providing someone acts on them (mentioning no names, I hate politics!) These results should help inform further policies and regulations to help improve the situation. They emphasise that we need to do more, but no-body seems to have a magic wand. This will not be easy and certainly won’t happen overnight. I read with relief that schools will be introducing new food, cooking and nutrition aspects in the National Curriculum in England from September of this year and so, feeling optimistic, we SHOULD see improvements on future surveys? But the Government has a huge responsibility too – they refuse to remove junk food advertising from children’s TV and this is a major problem that needs to be tackled. And there has to be control over marketing unhealthy foods to children. Whose job is this?! Discussions are ongoing with food manufacturers to further cut salt, fat and sugar levels in our processed foods but they need to take more responsibility too on how they label and market their products. We are so confused and lost when it comes to healthy eating; told to do one thing one day then something else the next. We struggle understanding food labels, we are tricked by ruthless marketing strategies, we struggle with cooking healthily, we watch too much TV or spend hours staring into our smart phones and tablets (me included! )……..the list goes on. Obesity is complicated! “Nearly 20% of Brits are not aware that apples are grown in the UK. Some 63% of those surveyed did not know British farmers grow blueberries, while 50% did not realise UK farmers grow strawberries. So it looks like not just children will benefit from these lessons, so will many adults! I love the idea of kids being inspired by food and healthy eating, that they will get their parents interested and on board with implementing what they learn in school. There are tonnes of resources for all ages of children and you never know, you might learn something new too! What’s this rubbish about butter coffee?